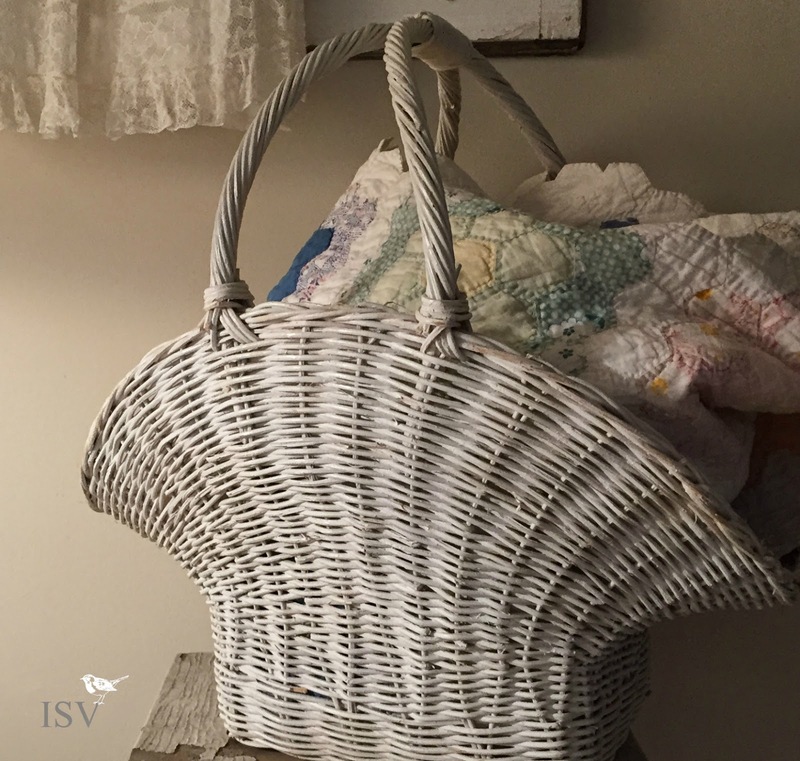 Being comfortable in your home is what is most important, and for me that means cottage style. It is a style that develops over time as you gather together elements. Worn painted pieces and lace. Lamps giving off soft light. 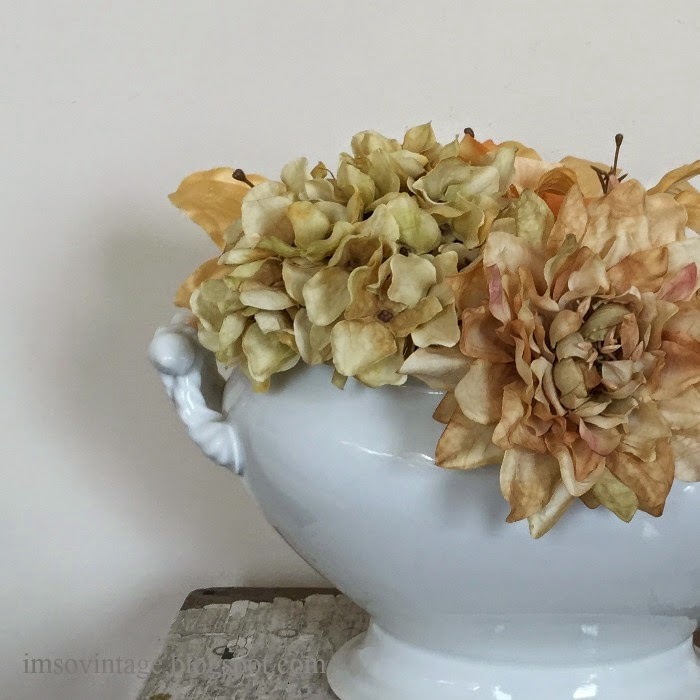 Old white ironstone and faux flowers. A vignette of antique elements. These are a few of the elements I have collected over time to help give my home a cottage feel. 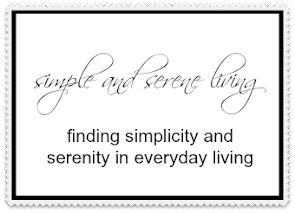 They are all things that combine to give me a feeling of serenity and comfort. Do you have a particular style that makes you feel comfortable? I love the cottage style and if I could start over would probably decorate in that style! You do it so well! I love the string of lights around the basket idea, Diane. Yes, Boho Cottage is now my style. I'll always love cottage. You have a good start on what to put in an apartment. Cottage for me. I think you can mix it up but it has to be cozy. I love English cottage too, Diana. So many ways to do cottage. Thank you, Rue. I had an English cottage living room in my last home. Love it. I love the looks/feel of all these things. 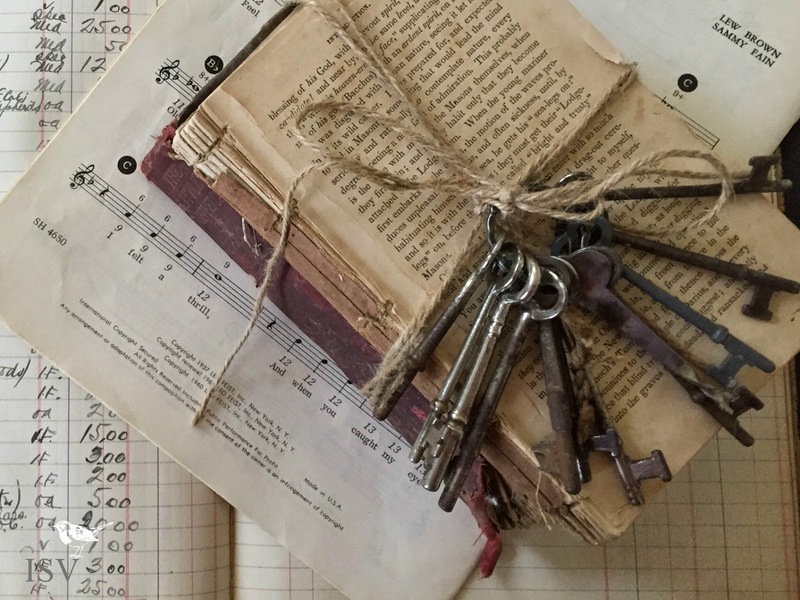 These types of images are soothing to my soul... beautiful photos, Laura! They soothe my soul too, Tina. I love your room. It is so cozy and comfortable looking! 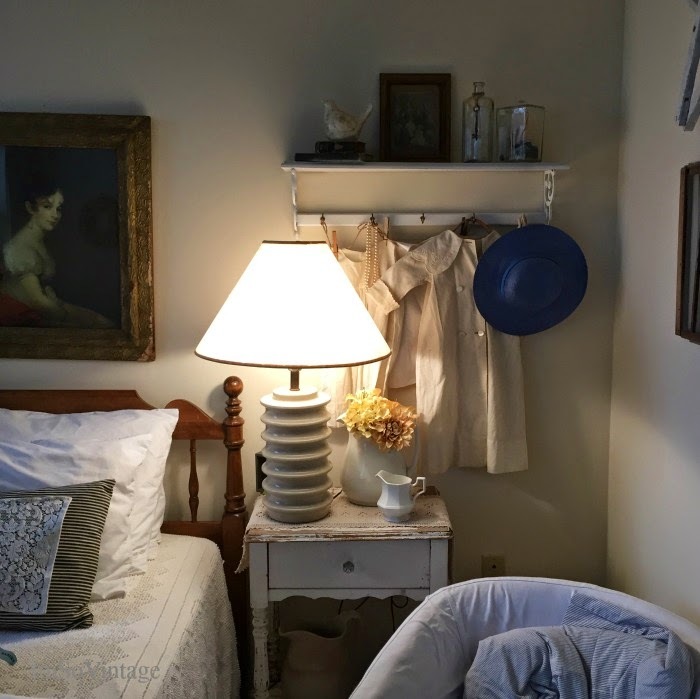 I am migrating more and more towards the vintage cottage style. 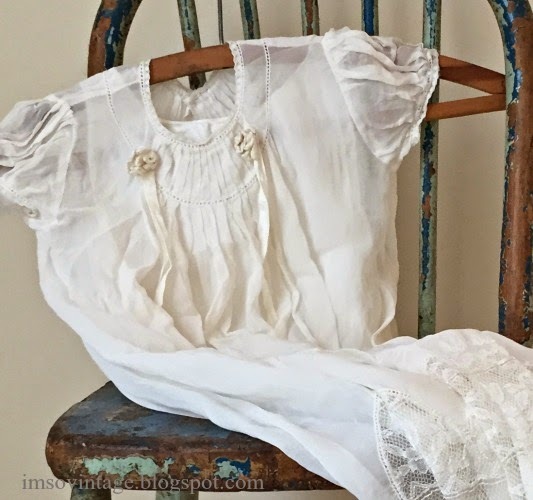 I absolutely love that white nightgown! Just lovely! If I could find one, I would wear it!!!! I love cottage style too. It's easy to live with and exudes comfort and touches of history. You have a nice collection of cottage style things. It does exude comfort, Kelly. So easy for me to relax in. These are beautiful photos, Laura. Many years ago, I lived in a Victorian cottage and I loved that period style. This post brings back happy memories of that home. I have popped over from Over 40 Blogging World - what a fab community! A Victorian cottage sounds wonderful, Sarah. We are so happy to have you as part of the TO40 group. Your cottage style is so perfect, lovely look! I don't have one particular style; I like a mix of styles. I mix vintage and cottage with a little modern. Hope you are having a beautiful day! I loved this point of view! So often it seems that bloggers are so concerned about style that they forget comfort! I put comfortable above anything else, and like you, I usually find Cottage style comfrotable.